"It is best to use small, young zucchini for this delicious Polish zucchini salad with yogurt, dill, and garlic. Best to use garden zucchini or from the farmer's market, they are the tastiest." 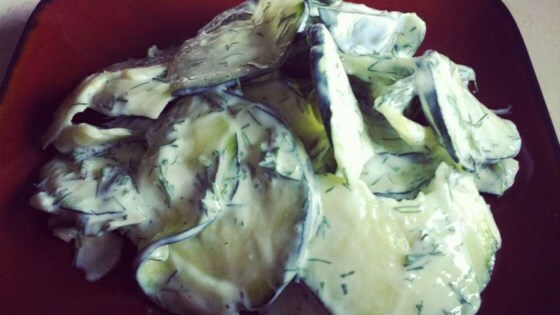 Mix yogurt, dill, and garlic in a bowl; season to taste with salt. Gently stir in sliced zucchini.